New Euro4 - compliant S1000XR is smoother and faster than ever. Sports adventure bikes are all about insanely powerful engines, superbike-derived chassis technology, cutting-edge electronics and extreme comfort. The S1000XR has it all and it’s our Adventure Sport bike of the year for the third time running, beating the brilliant Ducati Multistrada 1200 and KTM 1290 Super Duke GT. With a motor lifted out of the German firm’s RR superbike and retuned for more mid-range grunt, the 163bhp 999cc masterpiece gurgles on the overrun, pops and bangs through its gearbox blippers and goes like merry hell. It’s a four-cylinder cacophony of noise, aggression and power when you poke it with a stick, but relaxed and tractable when you’re just cruising. The 999cc inline four-cylinder motor is now Euro4-friendly and comes with an extra 5bhp. New handlebars are designed to reduce vibes (one of the few criticisms of the old bike) and a beefed-up subframe will handle an extra 10kg of pillion and luggage. 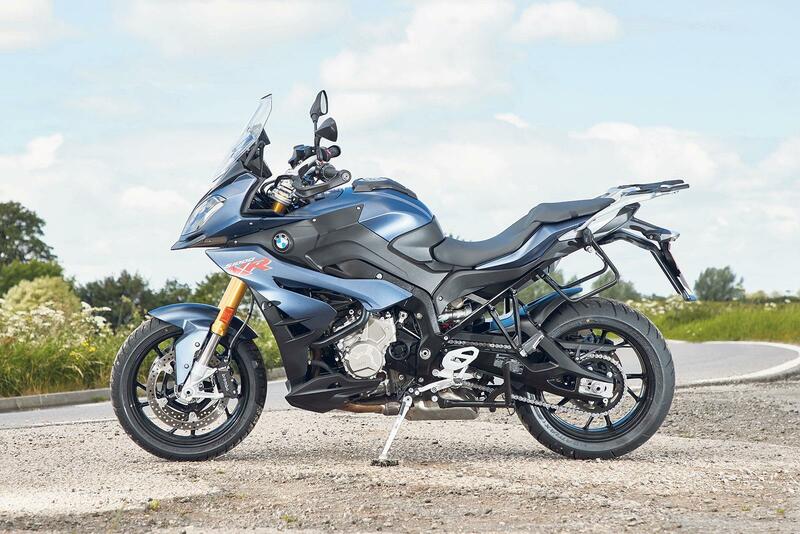 There’s no denying the BMW is a large bike, but don’t be fooled by its tall stance and adventure styling. Like its S1000R and RR siblings it can cut it in the twisties and all that screaming power is harnessed by some of the best electronic rider aids in the business. And the power dished out by the ABS-assisted Brembos is race-grade. Brilliant ergonomics and all-day comfort helps keep the S1000XR experience civilised. You could easily blast down to the south of France in comfort and then have some serious sportsbike fun in the Alps or Pyrenees when you get there. The generous 20-litre fuel tank allows 150 very fast miles before the fuel light flicks on. If you’re looking for a fast, smooth, versatile, adventure sportsbike, then look no further. BMW launched the S1000XR in late 2014 and the German adventure sport missile was an immediate success, winning MCN’s Best Adventure Sport Bike crown in 2015 and 2016. Since its birth the XR has faced stiff competition, but the powerful inline four has always been able to leave most rivals in its wake. 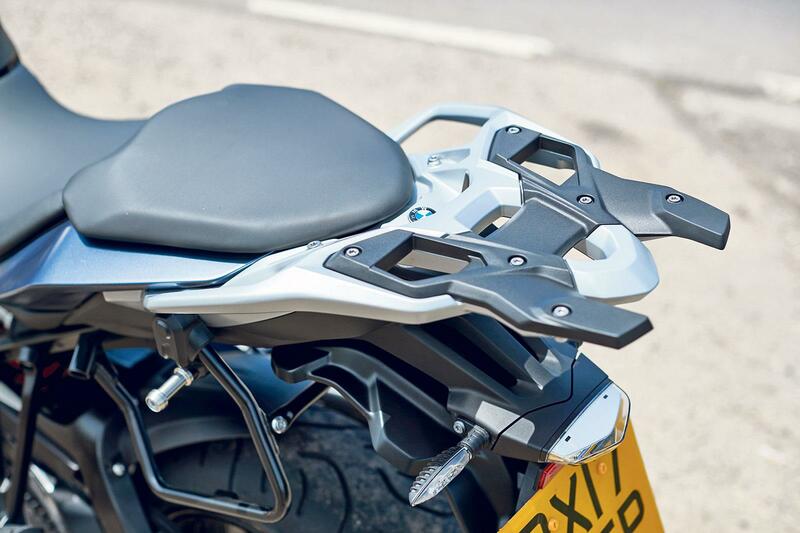 For 2017 BMW needed to update the S1000XR to make it Euro4 compliant. While the XR was in the workshop the Germans added a few extra ponies, increased its payload and tried to limit vibrations, which had been a criticism of the original bike. 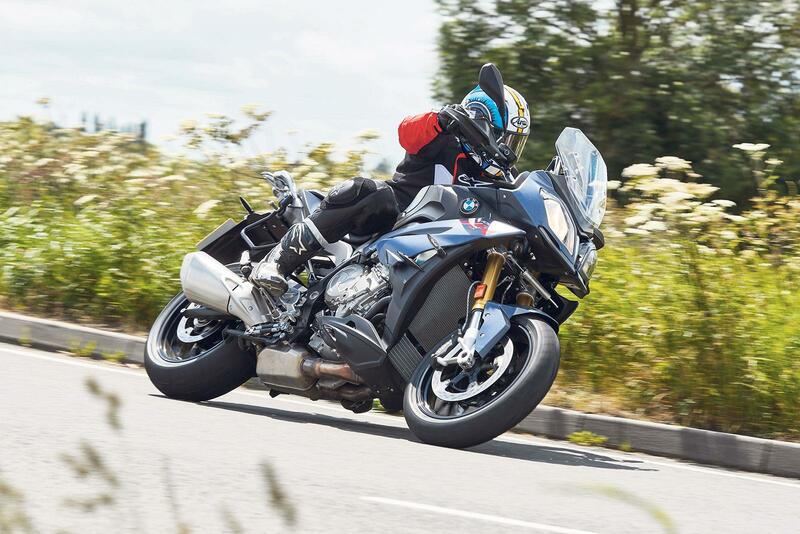 It’s easy to forget how good some bikes are – and the S1000XR is just such a machine. The XR is physically enormous – there’s no hiding the fact it’s tall and carries its 220kg high up in the chassis – but the power and excellent handling make up for its size and weight. But don’t be fooled by the XR’s tall stance and adventure styling, it can cut it in the twisties and its 162bhp is backed up by excellent rider aids. 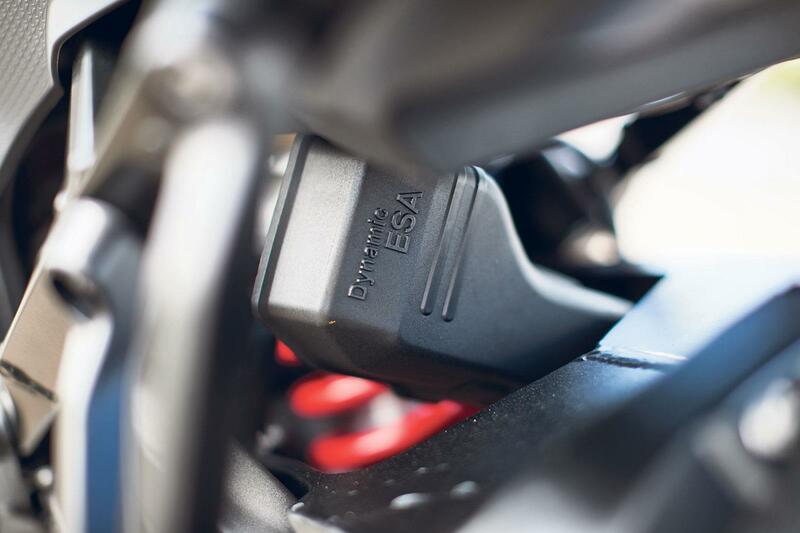 ESA semi-active suspension copes with the weight and performance admirably, while the ABS brakes are strong. In fact, the XR’s performance is so impressive you can easily get carried away and find yourself approaching situations 10-15mph faster than you were expecting. 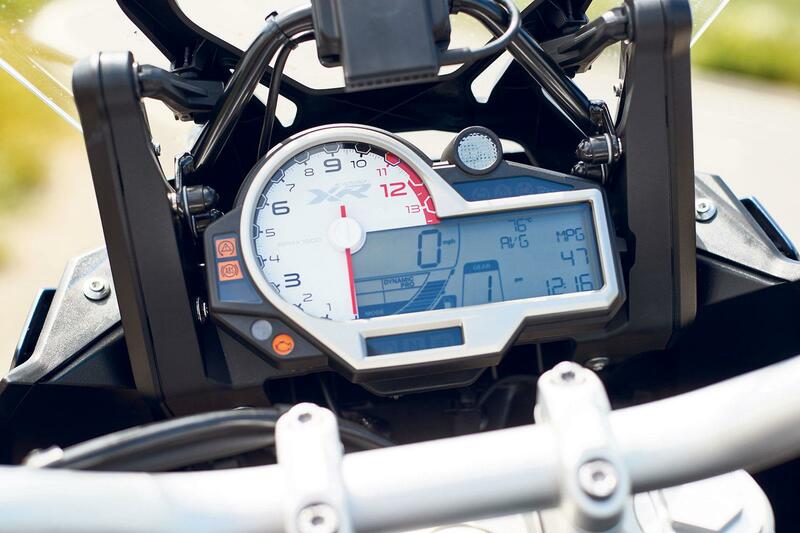 Brilliant ergonomics and all-day comfort help keep the S1000XR experience civilised. The manually-adjustable screen is a little cumbersome and without the official BMW sat-nav fitted the navigation wheel is a little pointless as it is no longer connected to the menu on the clocks. But apart from these few gripes and the bike’s slightly intimidating dimensions for smaller riders (like 5ft 6in me), the BMW is hard to fault. You can blast down to the South of France in comfort – the 20-litre fuel tank allows 150 fast miles before the light flicks on – and then have some fun in the Pyrenees once you are there. Like so many of the best Beemers, it is hugely versatile. That said, I do wonder if BMW could have done a little more while they were making the XR meet Euro4 regulations. If you already have an XR I can’t see why you’d want to upgrade to the revised model and you could save cash by buying used. BMW claim fewer vibrations through the bars, and it certainly feels smooth, but I never really had a problem with the original bike.  The vibes were there but are unobtrusive. So, yes, the 2017 bike is certainly an improvement, but it’s a subtle upgrade rather than a seismic transformation. Brakes 2 x 320mm with radial four-piston calipers. Single 220mm disc with two-piston caliper.